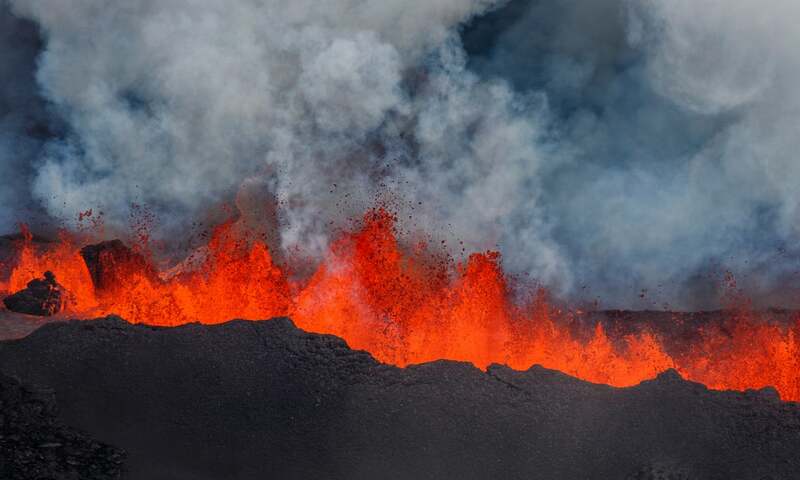 The last time an Icelandic volcano made headlines around the world was when the tongue-twister Eyjafjallajökull spewed tons of ash into the air in 2010, halting thousands of flights and costing airlines and passengers more than $7 billion in lost revenue. Despite the power and global impact of that volcano’s several-week-long eruption, it barely affected Iceland, dropping only a small amount of ash near its peak. But Eyjafjallajökull is paltry compared to the recent eruption of Bardarbunga, a volcano in a remote area of central Iceland that began venting lava and fumes in earnest on August 31st. By October 1st, that eruption had already spewed out more sulfur dioxide than any other Icelandic volcano in the past several hundred years and showed no signs of stopping. Since then, the eruption has continued at the same rate, coughing up more lava and sulfur fumes. The concentrations have been reaching unhealthy levels in large parts of the country. The area affected depends on the wind direction but includes Reykjavik. It has been causing painful eyes and throats, led to cancelation of sporting events, and asthmatics are encouraged to stay indoors. The fumes have cast a blue haze across the landscape and at times made the sun appear red. There haven’t been any deaths attributed to the volcano’s eruption, but the high levels of pollution have been linked to increased deaths by cardiopulmonary diseases in the past, especially amongst the elderly. The current eruption is taking place at the Holuhraun lava fields, about 28 miles away from where scientists expected the volcano to erupt, at Bardarbunga’s caldera, or crater, where lava has come out of the mountain in past eruptions. There’s still a possibility that another eruption could occur closer to or on the caldera. If this happens under the ice, it has the potential to could cause flooding and impact the lives of the farmers living downhill from the volcano alongside the Skjálfandafljót river. An eruption under the ice and resulting flood could have an immense impact on tourism in the country’s northeast, since one would have to go all the way around the island to reach this area. Scientists are continuously monitoring the eruption site with various types of equipment and video cameras, and if there is a flood, researchers would have perhaps five hours or more to warn people downstream. 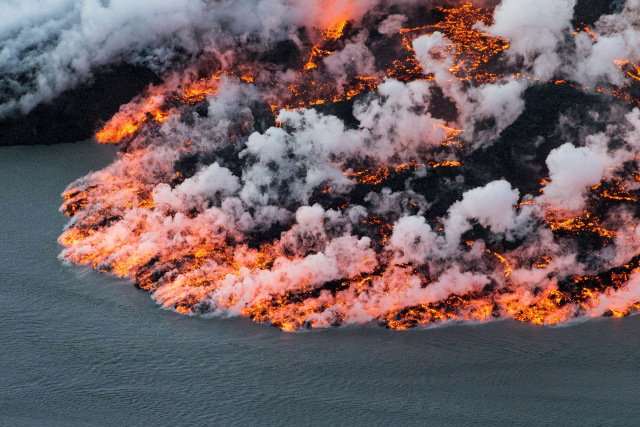 Bardarbunga may be one for the history books, but it’s definitely not the worst in Iceland’s history. That would probably be the 1783 - 1784 Laki eruption, which killed 60 percent of Iceland’s livestock and about 20 percent of its people. Compared to that, Bardarbunga is 10 times smaller in terms of eruption rate, fire fountain height, and gas content. But even so, it’s pretty amazing. Estás viendo los artículos del blog English de las Noviembre 2014 .